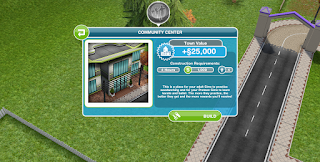 Pick one of the four actions and wait for the time to pass, you'll earn the indicated XP when it finishes, at that point your sim will be waiting with an exclamation mark bubble above his/her head. 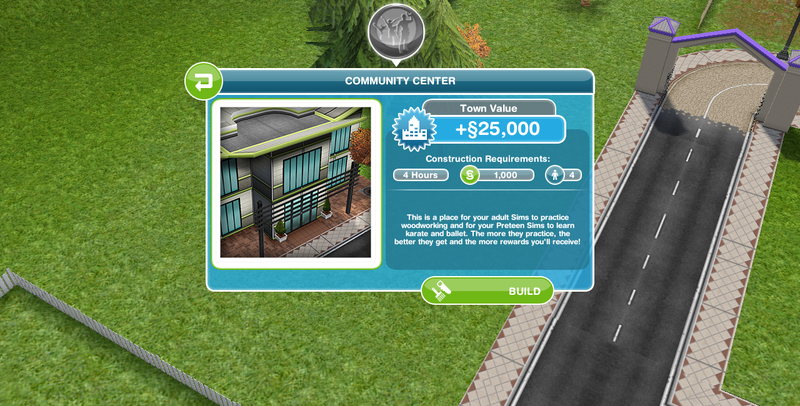 There is a chance you'll have to play the mini-game if your sim made a doll. 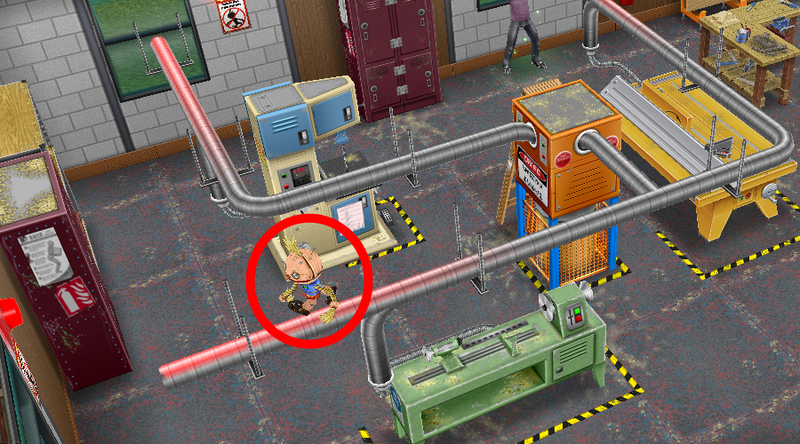 The doll will run to the piece of machinery with the pipes attached to it, your sim will rush to one of the windows. The trick is to tap the doll when it's heading for one of the open windows. Sometimes you need to tap it several times before it changes direction! So far I get the best results with one of those special pen-like pointing stick for my touch screen. Zooming in a little helps too, provided you have enough screen space left. 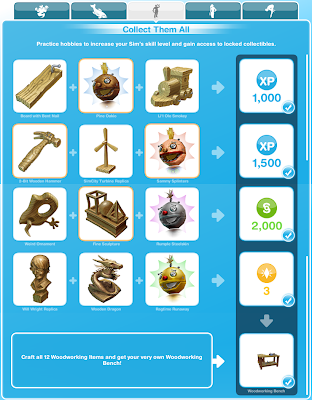 Please note: items already collected will yield the rewards again! Even if filled in on the collectibles grid. 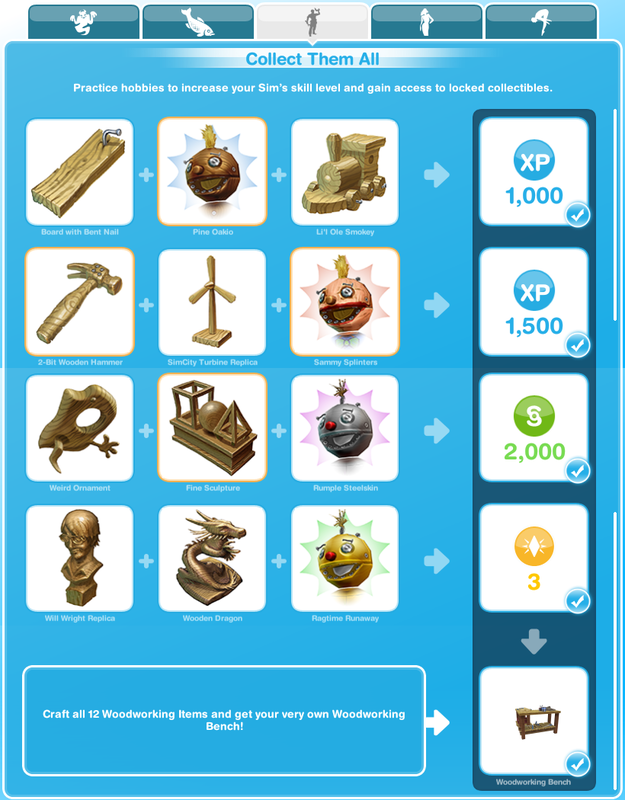 The first time completing all the collectibles for woodworking unlocks "Woodworking Bench" (then it's available for §1800 at the "Promotions 'R US"). The second time completing the collection unlocks "Free Premium Dog Kennel". (Recommended retail price 20 LP). The third completion unlocks "Free Foosball Table". The forth and further unlocking gives you 3 LPs. One of the pros of having a bench at home is that you no longer need to chase the dolls over the pipes, so you always get their reward! The Bench can be placed indoors as well as outdoors and takes 2 by 2 squares. 1. What is a hammer? Conclusion: Woodworking can be used for fun quick profits.